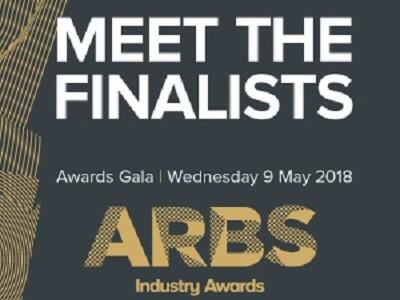 The finalists have been announced across all categories for the ARBS 2018 Industry Awards. Australia’s only international air conditioning, refrigeration and building services trade exhibition, ARBS 2018 will be held at the International Convention Centre (ICC) Sydney from Tuesday 8 May until Thursday 10 May 2018. Considered the pinnacle of achievement for professionals in the HVAC&R and building services sector, the ARBS Industry Awards program draws nominees from across all sectors. All nominations are assessed by a panel of industry experts based on various criteria such as leadership, sustainability, performance and innovation. The award winners will be announced and honoured at a gala dinner to be held on Wednesday 9 May 2018 at the International Convention Centre (ICC) in Sydney. To be presented by Tony Squires, host of the weekly sports panel show Back Page Live on Fox Sports, the ARBS 2018 Industry Awards will be held at the International Convention Centre (ICC), Darling Harbour, Sydney on Wednesday 9 May 2018, 7pm. Book online now at http://www.arbs.com.au.